Part of the kalmstrom.com code is used in several solutions, and our Lead Developer Jayant Rimza makes sure that this shared code is managed in the correct way. Today Jayant will share some of his knowledge and explain how the shared code is managed in the kalmstrom.com SharePoint Solutions. Here at kalmstrom.com we always focus on good shared libraries that give fast and reliable development. As we develop standard solutions, we know that if we do it wrong the first time, we will have to go back and fix it later (at our own expense). Thus we need to always do it right from the beginning! 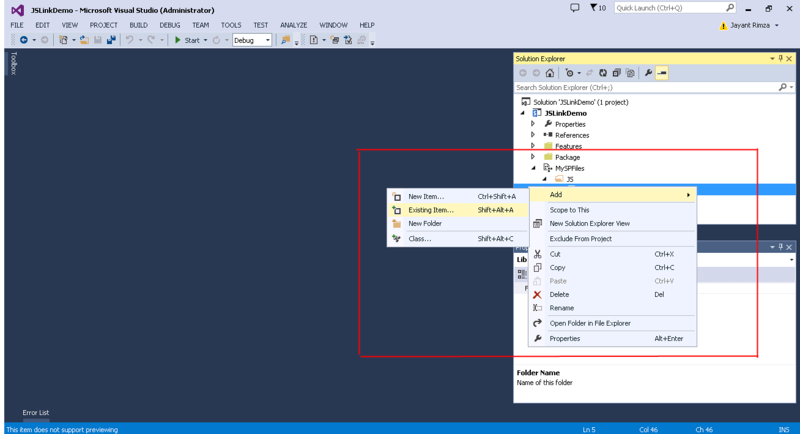 For a Visual Studio solution you can also add an existing file as a link. That will solve the update issue, as you only have to change that file to get all projects updated. 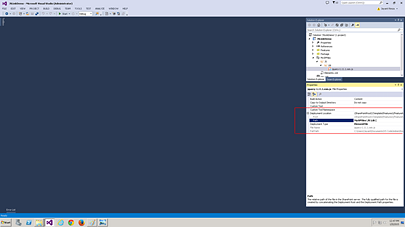 However, a in a Visual Studio SharePoint solution files are not deployed in the SharePoint site. 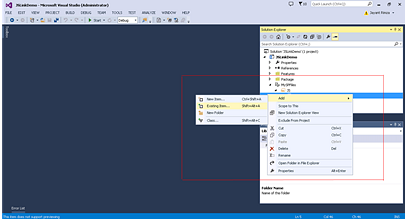 Open your Visual Studio SharePoint solution and add a new module or use an existing one. Right click on the module or on a folder inside the module where you want to keep your shared files. In the right click menu, select “Add” and “Existing Item". In the bottom right corner of the Existing Item dialog, you will see an option to add a file. In the dropdown, select the option “Add As Link”. Do not add a file with the “Add” option, because it will make a copy of the original file in your solution. 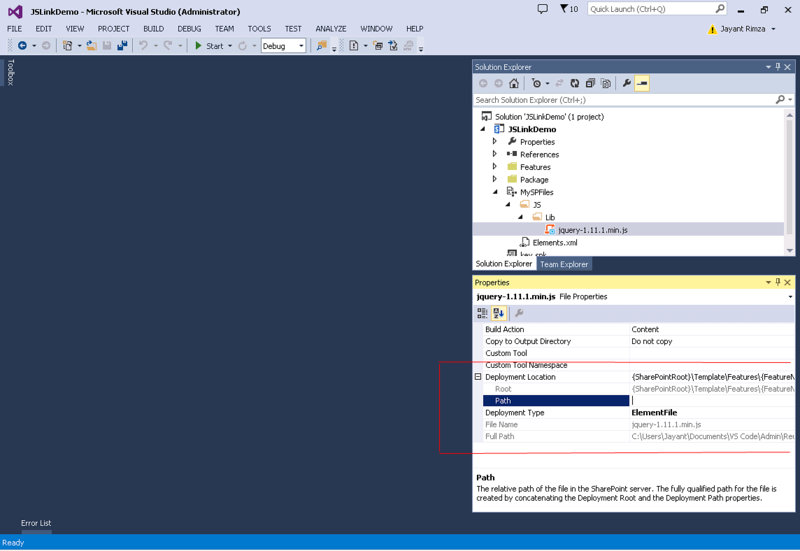 Now you need to set a deployment path into SharePoint for the file you added as a link, because when you add a file as a link it does not set the SharePoint deployment path automatically (even if Visual Studio does it automatically for you in other cases). The deployment path is an actual path where the SharePoint solution will be deployed on a SharePoint site. 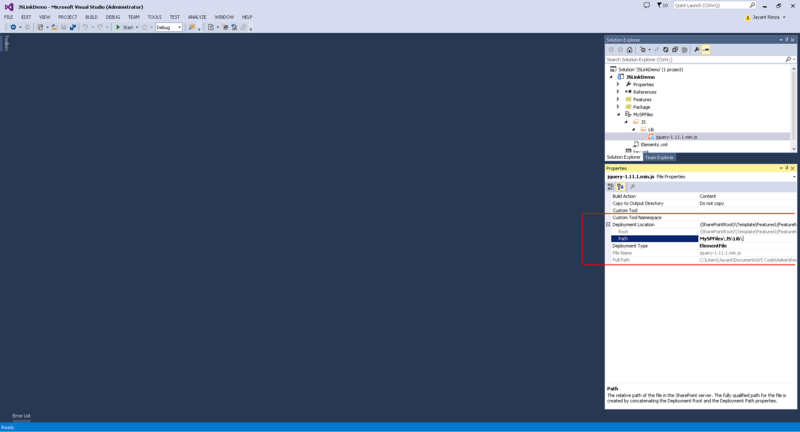 To set the deployment path, select the file and go to its properties window (F4). In the properties window you will find a section named “Deployment Location”. Expand it and set the “Path” property. I would suggest the current SharePoint module path, to avoid later confusion. This information about shared code is also published in the kalmstrom.com Tips section, where SharePoint developers also can find two earlier developer tips. I hope you will find them useful!